Dynamic Switch, , uses a very small intensity switch. It is the switch that the external mechanical force acts on the action reed through the transmission element, so that the fixed contact point at the end of it and the moving contact point can be switched on or off quickly. A micro switch with a small contact interval and a fast moving mechanism, a connecting mechanism with a prescribed stroke and force, which is covered by a shell, with an external actuator and a smaller shape. The microswitch is composed of 5 major components. The contact distance is small and the torque is large. General external drive rod. 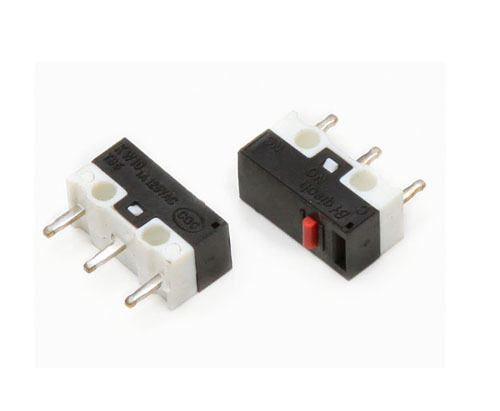 Looking for ideal Button Micro Switch Manufacturer & supplier ? We have a wide selection at great prices to help you get creative. All the Single Lock Microswitch are quality guaranteed. We are China Origin Factory of Automobile Micro Switch. If you have any question, please feel free to contact us.